You’re looking DINO-mite! 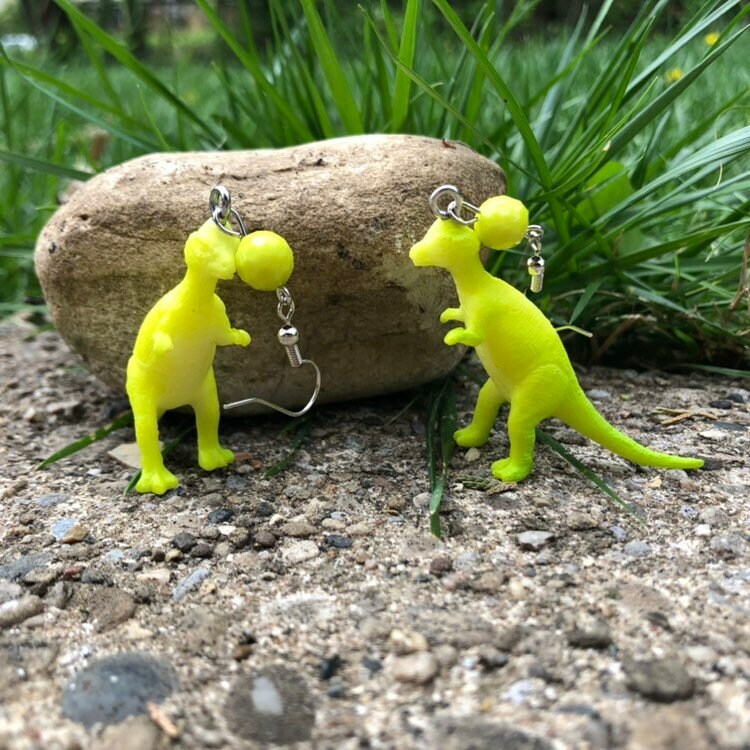 I turned these dinosaur toys into charms and hung them from plastic beads and ear wires. Earrings are 3.5" long. If you have any questions please ask. RARW!